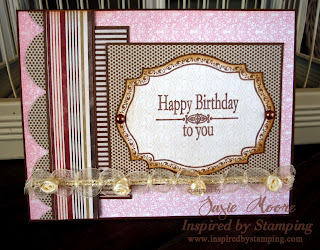 I am so excited to share my first sneak peek from Inspired by Stamping with you. Joanna has designed nine new stamp sets for us - each one more wonderful than the next. AND they coordinate with Spellbinder's dies. What could be better? I have actually used stamps from two of the new sets. You will be able to see (and order) all the sets on Saturday. Tomorrow I will be showing you another sneak peek (YAY). But until then, be sure to check out what all the other design team members have created for you. I have linked them below and I KNOW you will love them all. nice combination of papers and great layout! Love this card a lot! This is so beautiful!! 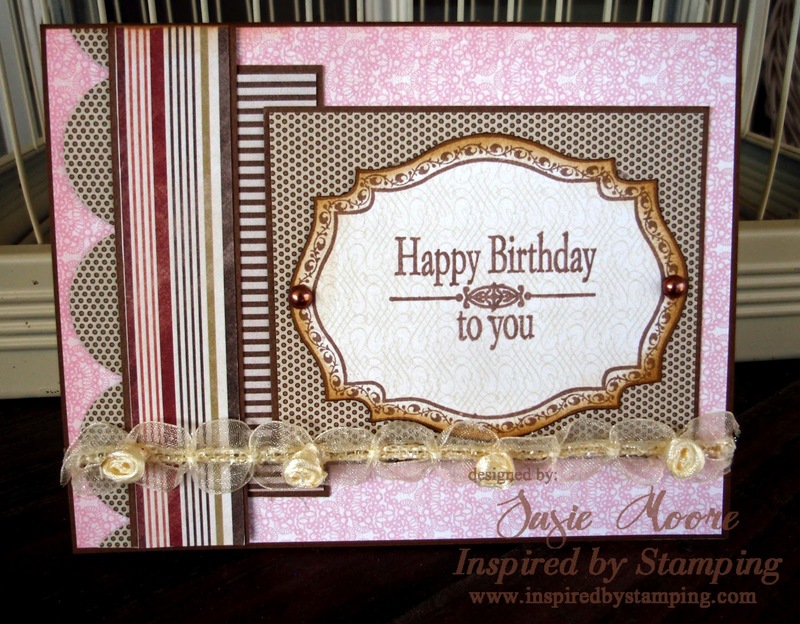 I love all the patterned paper you used!! TFS!! Take Care!! Beautiful card and love the papers:) TFS! Beautiful Card!! I love those colors!! And that trim is beautiful!! TFS!! Take Care! !